Here are 6 key lifestyle changes you can make today to cut the risk of dementia. Don’t smoke – As well as increasing the risk for cancer, heart disease and stroke, the toxins in cigarettes damage the blood vessels in the brain, which is a key risk factor for dementia. If you are having trouble quitting, your family physician will be able to help you make this incredibly important life change. Follow a Meditteranean way of eating – The traditional Meditteranean diet is based around eating lots of vegetables and legumes, providing lots of fibre and micronutrients. Most fat in this diet comes from olive oil, which is high in anti-oxidants and omega three from nuts and fish, which has been shown to protect cognition. The other aspects of this diet are that meat from animals other than fish is only eaten once or twice a week and meals are social events enjoyed with a small glass of red wine. Exercise – A study published in the journal Neurology found that women who exercised in midlife had only one third the risk of dementia compared to those who were A combination of aerobic exercise, such as walking fast enough to be short of breath and resistance training, which is using resistance to build muscle strength has many cognitive and physical benefits. If you are having trouble feeling motivated, exercise also has many immediate effects to improve mood and wellbeing. 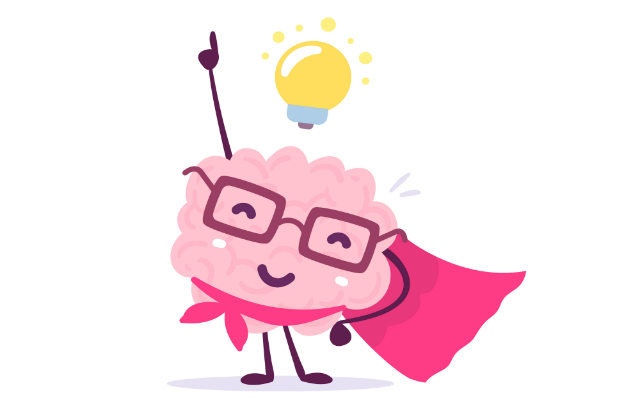 Cognitive challenge – Just as exercise can help to increase muscle strength and function, challenging your brain can also help to improve its’ function. While the evidence for using specific computer based brain training programs is not looking promising, undertaking activities like learning a new language or skill can help to protect against cognitive decline. Social Engagement – people who have a high degree of social engagement have around one third the risk of developing dementia compared to those with lower levels of social engagement. Developing and maintaining meaningful relationships with family and friends is also incredibly important and rewarding in its’ own right. Live with purpose - A higher sense of purpose can also protect cognitive function, even in the setting of changes of the brain that are associated with dementia. In a study published in 2012 in JAMA psychiatry, people who undertook assessments of cognitive function and sense of purpose while alive donated their brains for autopsy after death. Those who had a higher sense of purpose retained better cognitive function, even if their brains looked like those of Alzheimer’s victims. The biggest risk factor for dementia remains getting older. Even if all cases of dementia can’t be prevented, delaying the age of onset for five years may mean the difference between being diagnosed at age 85 or age 90, which is many more years of life without cognitive impairment. Making choices in life to value wellbeing and health today, such as taking an exercise class with a friend or preparing yourself a nourishing meal are key to living the most enjoyable life possible, while giving yourself the best chance possible for keeping your mind sharp for all the years to come.